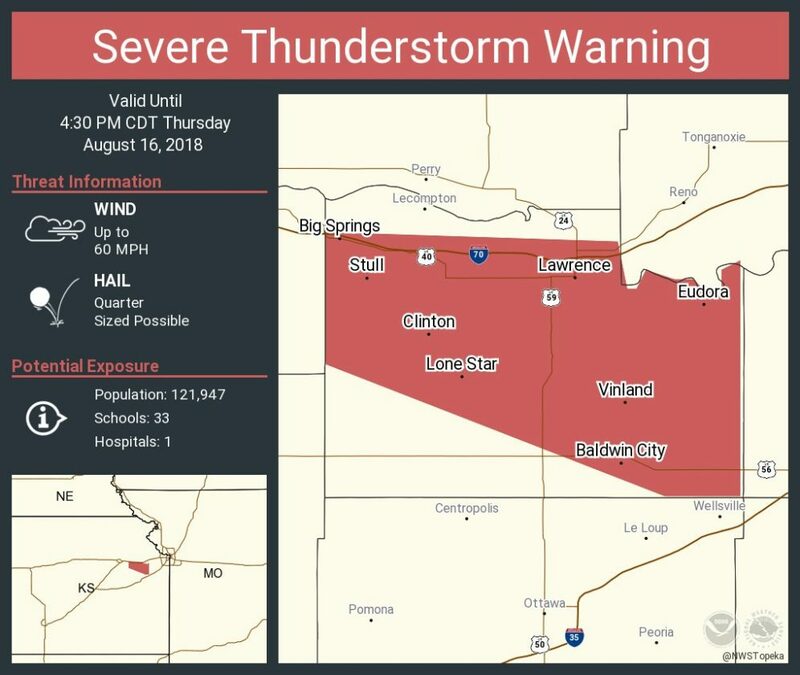 Severe Thunderstorm Warning issued for Douglas County until 4:30 p.m., Thursday, Aug. 16, 2018. A severe thunderstorm warning issued for Douglas County expired at 4:30 p.m. Thursday, but a severe thunderstorm watch remains in effect until 11 p.m., according to the National Weather Service. A watch means that the potential exists for the development of severe thunderstorms.